Home » Blog » Is beef jerky “Keto”? Is KOOEE! a “Keto” beef jerky? So you’re looking for a Keto-friendly snack and have come across beef jerky. Is beef jerky a suitable Keto-friendly snack? Short answer: Well yes, mostly. But the answer is not clear-cut, because there is a range of jerky brands in the market, from niche to mainstream, healthy, to er…not so healthy. But before we look at jerky, let’s go over some Keto basics. In a nutshell, the “Keto diet” is based on the premise that your body can be optimised to run burning fat as a key energy source instead of sugar (via carbohydrates). 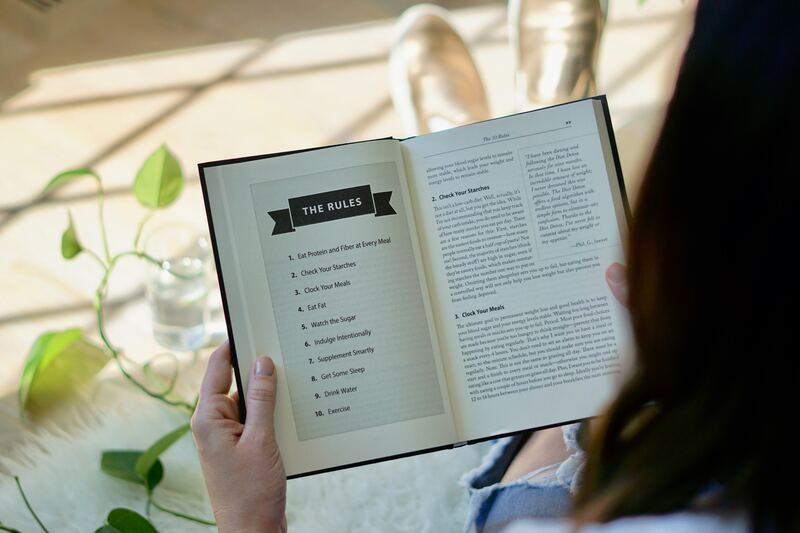 Common diets are based around consumption of carbohydrates, which are the most efficient to convert into energy, but are converted to fat when not used. On the other hand, the Keto diet proposes that when you lower your intake of carbs, your body will seek an alternate energy source: fat. In burning stored fat, your body will eventually enter a metabolic state called “ketosis” (hence the name), in which your body releases ketones that enter your bloodstream (instead of insulin from glucose-rich foods like carbs), and provide energy to your body and brain. The Keto diet is also known as the Low Carb, High Fat diet (“LCHF” diet). Advocates of the diet report weight loss, improved energy, and better focus. However, always ask your dietitian or nutritionist for their advice and recommendations before making any significant changes to your diet. So what does a Keto snack look like? Those on the Keto diet seek a diet that is high in fat, has moderate protein, and low in carbohydrates. In practice, it’s all about dem macros, and controlling what you eat! So what does a diet like this look like on a day-to-day level? According to this Keto Diet calculator, as a 75kg dad who tries to exercise most days, I should be eating approximately 2,300 calories per day. Ideally, this would break into 188g of fat, 113g of protein and 28g of Carbs – the vast majority of the energy comes from fat. 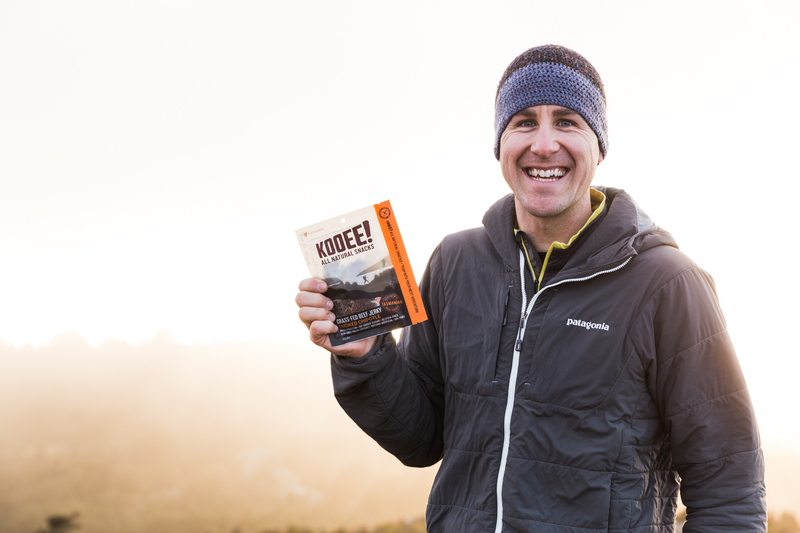 Almonds are a great snack to pair with KOOEE! jerky. Beef jerky can be a great Keto snack because it’s high in protein and often very low in carbs. However, because most jerky is made from relatively lean cuts of beef (such as topside) – jerky is not often high in fat. That being said, pairing it with some nuts or cheese is a great way to add fats when snacking on jerky. We recommend seeking jerky made with only 100% grass-fed beef, and high-quality, clean ingredients. Avoid the added sugars, artificial ingredients, or preservatives. Go natural! Keto beef jerky: how do local jerky brands stack up? We’ve taken a sample of local jerky brands, including two mainstream jerky brands, to see how they stack up, Keto diet-wise. While not made in Australia, you’ll find Jack Links in every store in Australia – and almost anywhere that sells beef jerky in the world! Beef, Water, Sugar, Soy Sauce (Water, Wheat, Soy Beans, Salt), Corn Syrup Solids, Flavourings, Hydrolyzed Corn Gluten, Dextrose, Flavour Enhancer: (Monosodium Glutamate), Antioxidant: (Sodium Erythorbate), Preservative: (Sodium Nitrite), Smoke Flavour. Keto Score: 3/10. It’s high in protein, but it’s very low in fat and relatively high in carbs (20%) for a jerky product. We don’t think it would be fair to call this a “keto beef jerky” – sorry Jack. One Australian mainstream jerky brand that you are likely to come across is the brand, “Local Legends”. Beef, Sugar, Dextrose, Maltodextrin, Salt, Soy Protein, Vegetable Powders, Spices, Flavour, Acidity Regulator (331), Vegetable Oil, Antioxidant (316), Spice Extracts, Preservative (250). Keto Score: 3/10. As with Jack Links, this beef jerky is high in protein but low in fat and relatively high in carbs (20%) for a jerky product. Given the similarity in macros, Local Legends scores the same as Jack Links – we think there are better choices for a keto beef jerky. These guys make nice products in Byron from grass-fed beef. Lean Grass-fed beef, Salt, Vinegar, Teriyaki sauce, Worcestershire sauce, Soy sauce, Sugar, Natural wood smoke, Herbs and spices. Keto Score: 8/10. Higher in protein, higher in fat, and much lower in carbs, this jerky is much more “Keto-friendly” than the two mainstream jerky brands previously reviewed. A good quality keto beef jerky. 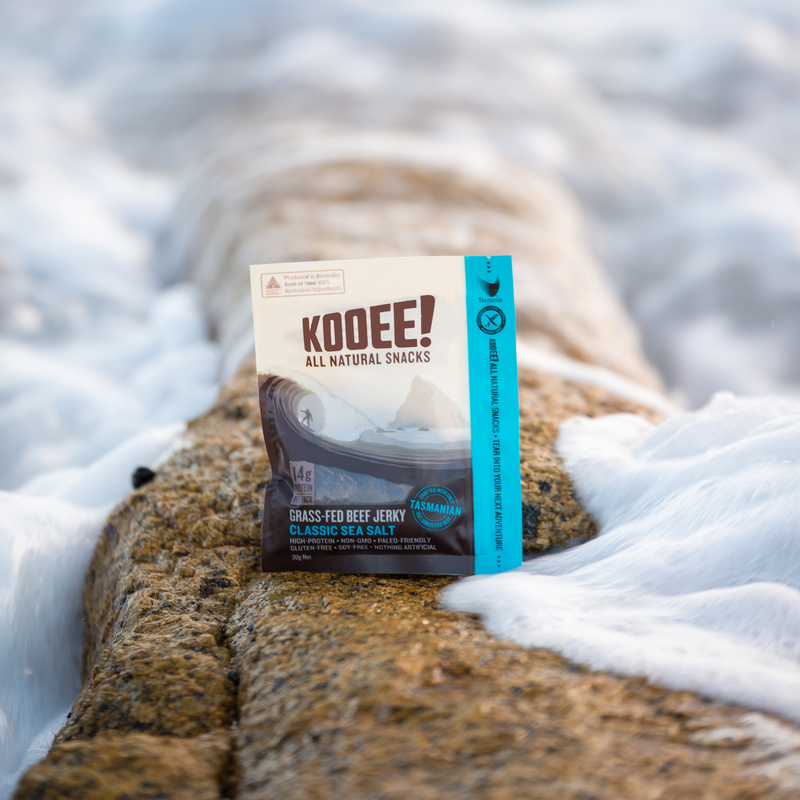 This Queensland-based brand has been around for a while and makes a solid jerky product. Here’s an earlier review of their jerky which you can find here. Beef, Sugar, Salt, Beef Booster, Coriander, Vegetable Protein Extract (Maize), Worcestershire sauce, Kwikurit, Brown Vinegar, Spices. Keto Score: 8/10. Jim’s Jerky would almost get a 9/10 if it wasn’t for some less desirable ingredients in the ingredient list. Still, very solid keto beef jerky, from a purely Keto point of view. How does KOOEE! stack up? We’ve discovered that many Australians are coming to us for a keto beef jerky. Here’s why. Grass-fed Beef (80%), Coconut Aminos (Coconut Tree Sap, Sea Salt), Apple Cider Vinegar, Sea Salt, Black Pepper, Beetroot Powder, Acerola Cherry Juice Powder, Culture. Keto Score: 8/10. Overall, from a solely Keto perspective, we rank surprisingly well. Like Byron Jerky, we’re both similarly high in protein, though KOOEE! is higher in fat. However, KOOEE! is also slightly higher in carbohydrates than Byron jerky, due to the “paleo-friendly” coconut aminos sauce that we use in our marinade (making it also a soy-free jerky, unlike any of the other jerky brands listed above). Looking beyond the macro side of things, we’re really proud to say that we continue to craft the cleanest jerky around. KOOEE! is made with only honest, natural ingredients. And if you are already one to care about what food you put in your body, then it’s not just the pure macros that count – it’s the quality of those macros too. On the whole, with only 2.7g of carbs per serving, KOOEE! is still a low carb snack with adequate fat and a heap of protein, and would suit any Keto diet. 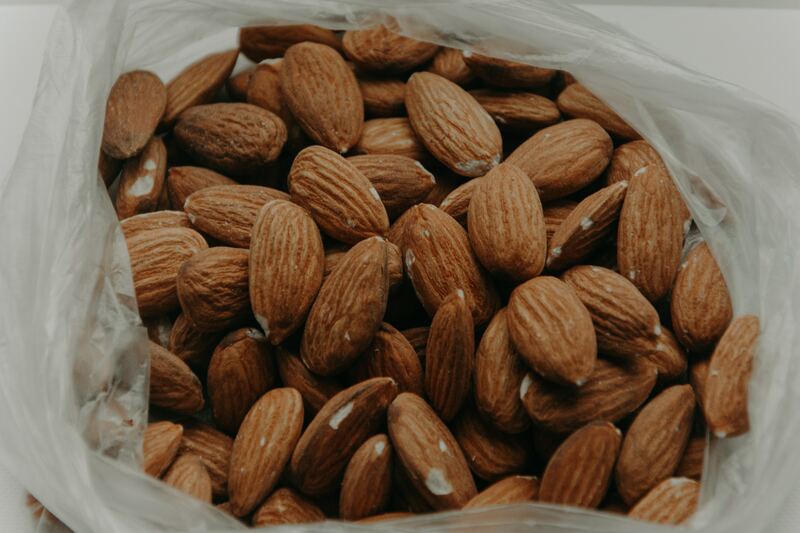 Pair it with a wedge of cheese (manchego is my favourite), a handful of almonds and you’ve got the perfect snack to fuel you through that long morning hike or to power through that 3pm office meeting (you can do it!). If you’ve suddenly become hungry from reading this, we’ve got you covered with some keto beef jerky. Grab some of our beef jerky here at our shop. Picture: Mountain bike tour guide extraordinaire Steve Howell, of Blue Derby Pods Ride.